Object acting as decall possible? 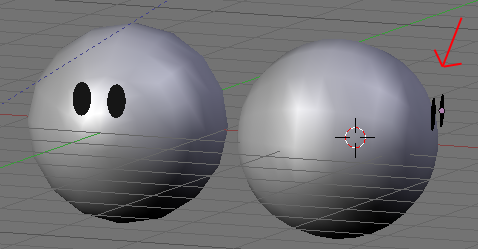 I can use an empty to place a texture on a sphere. The texture will then follow the flow/shape of the sphere. This is called a decall according to my knowledge. Is it possible to use an object/mesh as a decall? And if it can, how? Example of what I mean: I have a flat circle. I want that flat circel to be glued to the surface of the sphere. When I move or distort the circel it shoud follow the shape of the sphere. …well there are ways of cheating death for a time. Call back if that’s what you want and we’ll see. What you describe sounds like it would require a type of retopo modifier or something. Imagine I have a simple head and I can project simple animated objects on the surface of that head, I wouldn’t have to include the eyes in the actual head object itself. I still want to be able to deform the simple objects for animation. Therefore I thought projecting the shape of a flat object on the head would be easier to model and easier to animate. So I am/was just curious if it is/was possible or not. Seems not.